Ever since starting 0-5 with Jund at the World Championship in Rome in 2009, I've tried to avoid playing midrange decks whenever possible. Every now and then, it's felt like the only choice for a Grand Prix or something, and it's never gone well. I was really hoping to find anything other than Attune with Aether to play in Albuquerque, since all of those decks are absolutely midrange, but when I failed to put up good results with anything else, I knew I had to just accept my fate and focus on playing as well as I could. My success at the last Pro Tour with "Fail State Mono-Red," another deck I absolutely didn't want to have to played but managed to navigate decently when push came to shove, bolstered my confidence a little. More importantly, I had a fantastic team to help me out. Thursday morning, when asked what I was going to play, I stepped over to a table where my teammates had a Temur deck laid out and were going over possible sideboard cards, and said, "Teach me how to Temur." After a couple of Leagues on Magic Online with rotating spotters to help me with sideboarding, mulligans, close plays, and just double-checking my intuitions, I felt prepared to try to do my best. Most importantly, we talked through the reasoning behind various expensive cards and our sideboard plans against other energy decks. 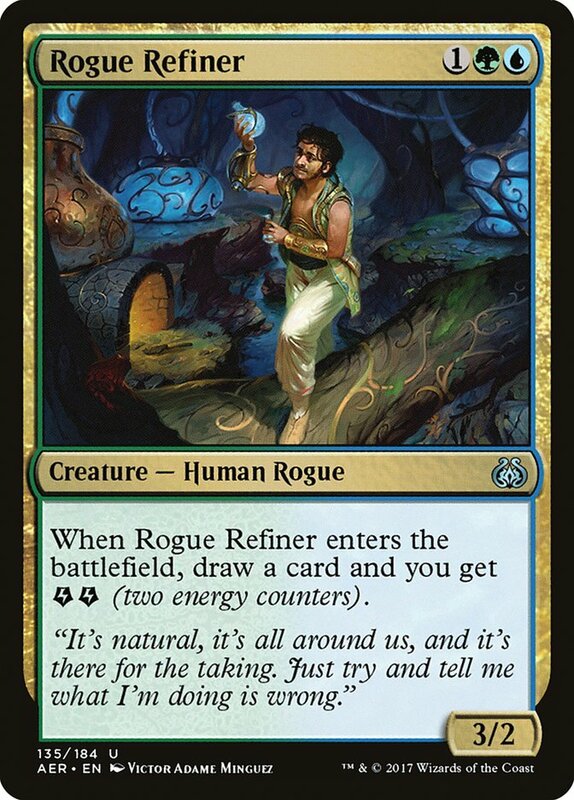 Everyone has the basic energy core: Attune with Aether, Harnessed Lightning, Servant of the Conduit, Longtusk Cub, Rogue Refiner, and Whirler Virtuoso. Those cards build the infrastructure of the game and set the course early, but often, they ultimately lead to some kind of battlefield stall, maybe where someone's getting through for a bit of damage because of Thopter advantage. Longtusk Cub can theoretically run away with a game, but it almost never happens that way. Rogue Refiners can eventually double block it, and investing too much energy in it is a big risk because Harnessed Lightning profitably exchanges energy against pumps and getting a large Cub Confiscation Couped is an easy way to lose a game. Instead, early Longtusk Cubs mostly just try to make more energy that eventually converts into Thopters. The net impact of all of this is that the game generally progresses smoothly to the mid-game, where bigger threats take over, and this is where the choices about which four-, five-, and six-mana spells you play makes the difference. This had been the staple. It's the best thing you can resolve against U/B Control, and it's great (and very important) against aggro decks, especially Ramunap Red. The problem is that most of the time it doesn't do much in the mirror, especially in Game 1, though it can occasionally run away with games when the other player has a removal-heavy draw. Mostly, I think this just serves to hide how weak the card really is in the mirror most of the time. Chandra's a fairly weak removal spell when under pressure, but fantastic on a battlefield stall or when not under pressure. 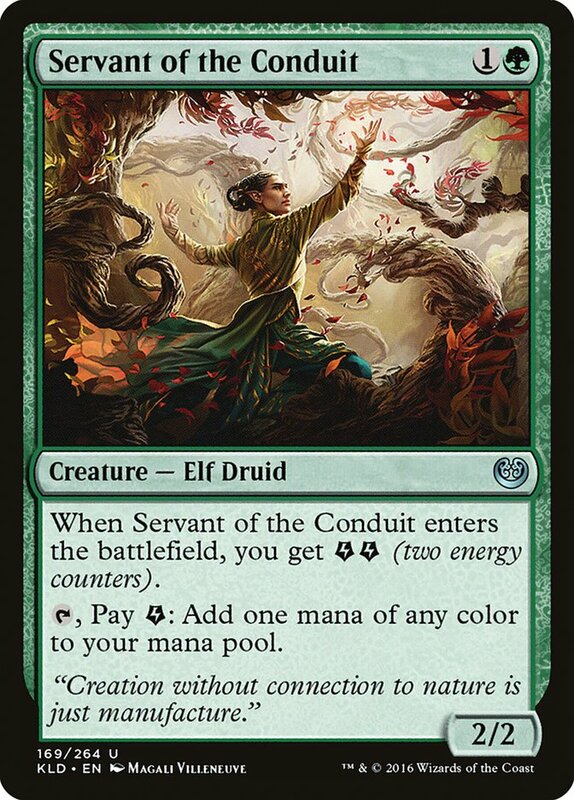 It's great to be able to play on Turn 4 off Servant of the Conduit, great with Harnessed Lightning and other red removal spells, and a good way to get ahead while answering Glorybringer or an opposing Chandra the has already used its -3 ability. While it can be pressured by Thopters and doesn't match up well against an unchecked Bristling Hydra, most battlefields will lead to a stall where Chandra will be far better than Bristling Hydra. 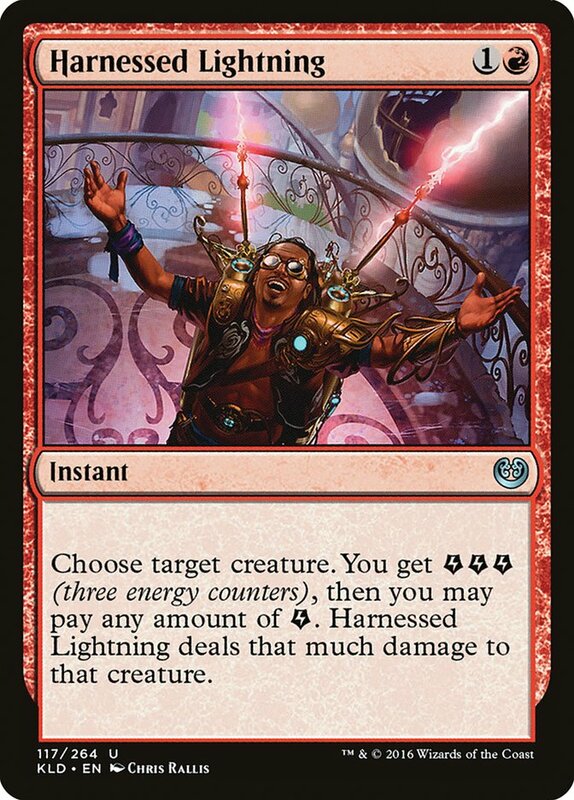 This card is fantastic in the Energy mirror, where it has a wide array of great options when copying something and can easily trade off to generate an extra card's worth of value. The problem is that it doesn't work properly if you're losing to planeswalkers, and it's very weak against control decks, which will stop you from keeping a creature on the battlefield to copy and won't play their own, and it's bad against aggressive decks, where you want your four-mana play to be the best thing on the battlefield, not to trying to trade with their two-drop. 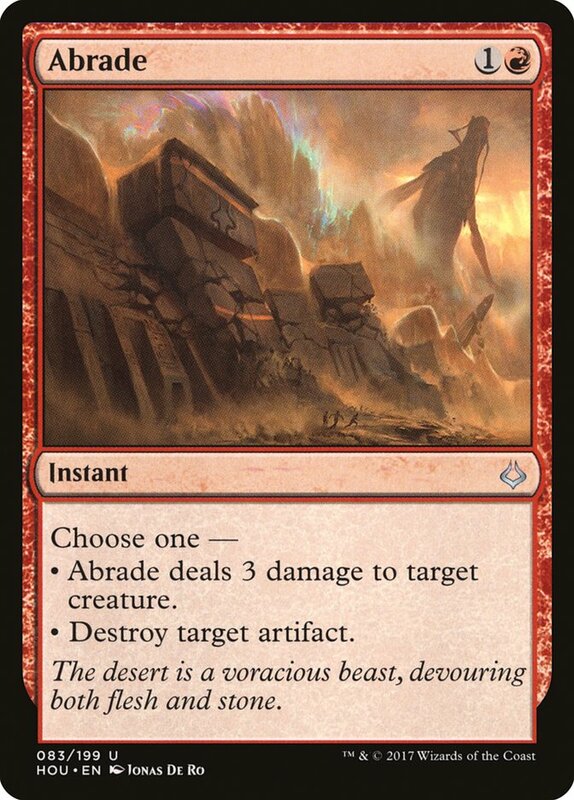 This is a reliable threat that's never bad, a powerful evasive creature that attacks planeswalkers well, creates a fast clock, and answers creatures. The floor on this card's power level is extremely high. 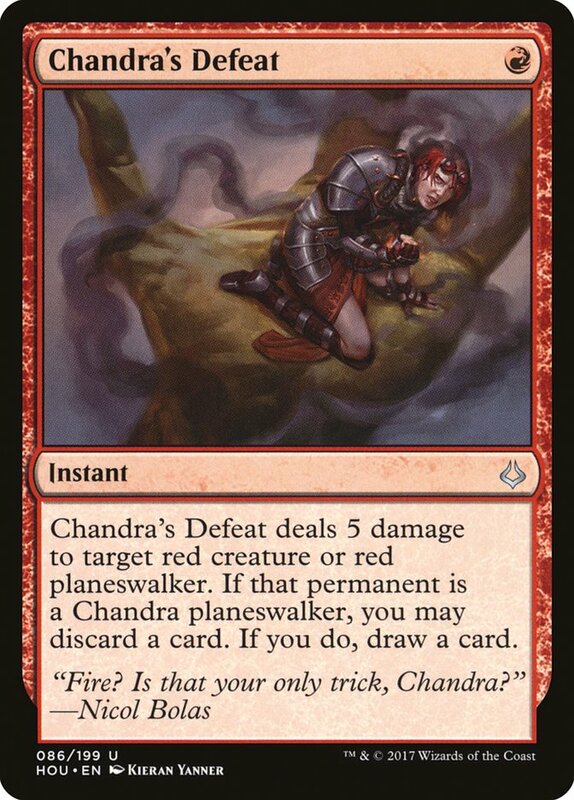 The liability of this card is that it's expensive and can be cleanly answered with a single cheap removal spell, like Harnessed Lightning or, after sideboarding, Chandra's Defeat. This card takes over a game like nothing else, and it's very difficult to answer. The best answer is Confiscation Coup, but if you have a removal spell to kill it after it's stolen, you get it back; unlike Glorybringer, where your opponent has gotten a two-for-one, you've managed to trade your removal spell for their trump, and you have The Scarab God back to take over the game. 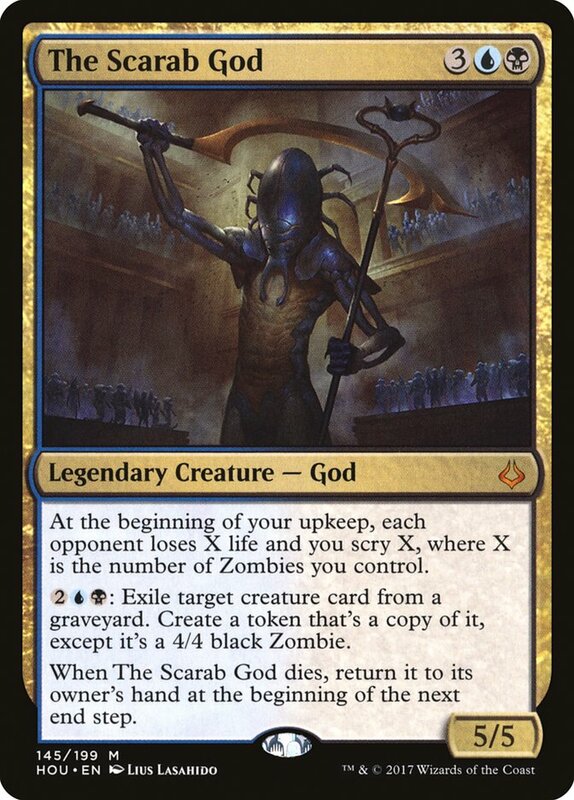 The Scarab God's primary problem is that it makes the mana worse than simply playing three colors, and it's very bad against Abzan Tokens, but for the most part, this is a fantastic card. 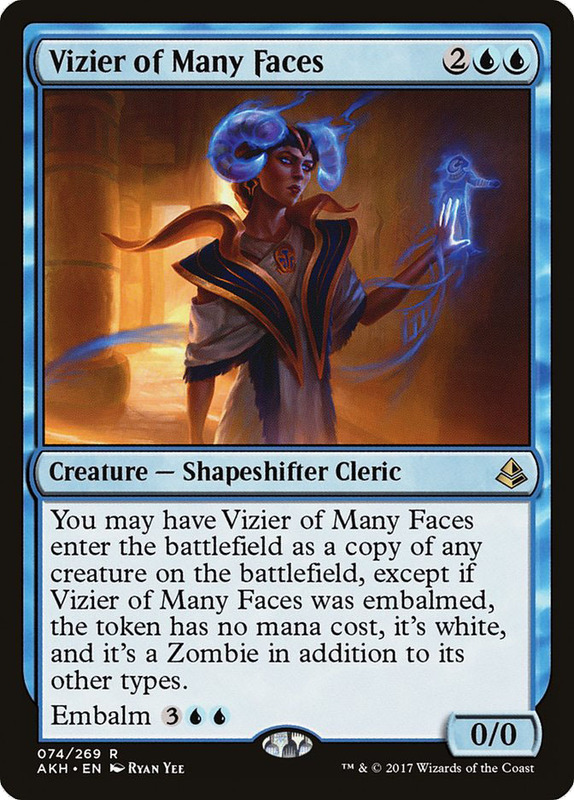 The five-mana Vizier of Many Faces. This is great in the mirror and against Ramunap Red (because Hazoret the Fervent is so important), but a huge liability against control. 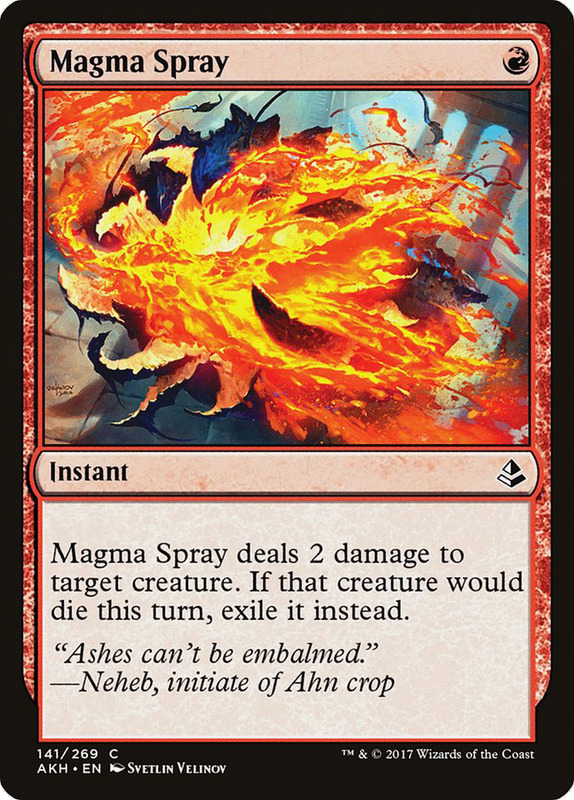 It also isn't exactly proactive; if your opponent hasn't cast a high-impact spell, you'd rather draw and cast your own high-impact spell than this. 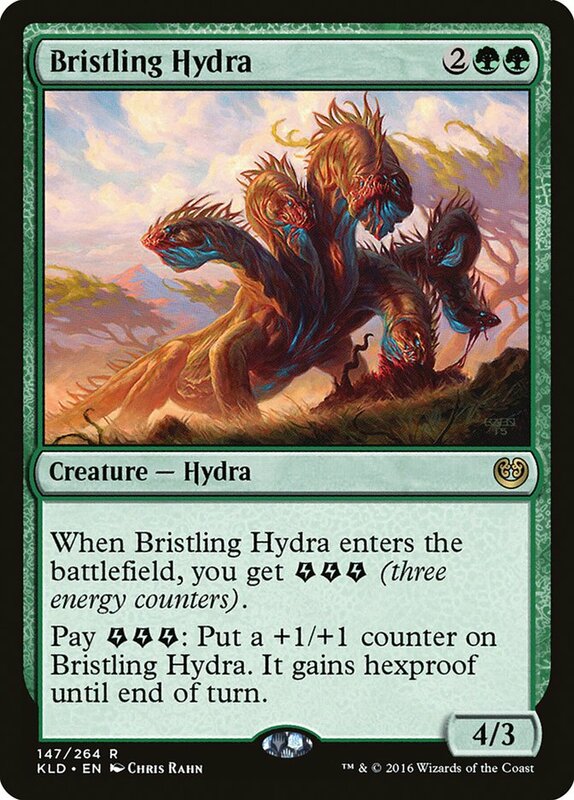 It also matches up poorly against Bristling Hydra and planeswalkers. I didn't play this card, but it has some things going for it. It's larger than Glorybringer, has an immediate impact even if answered, and can't be used against you by opposing The Scarab Gods, and it's very easy on the mana. This is a good proactive threat that limits your exposure to Chandra's Defeat if you don't want to splash black mana. 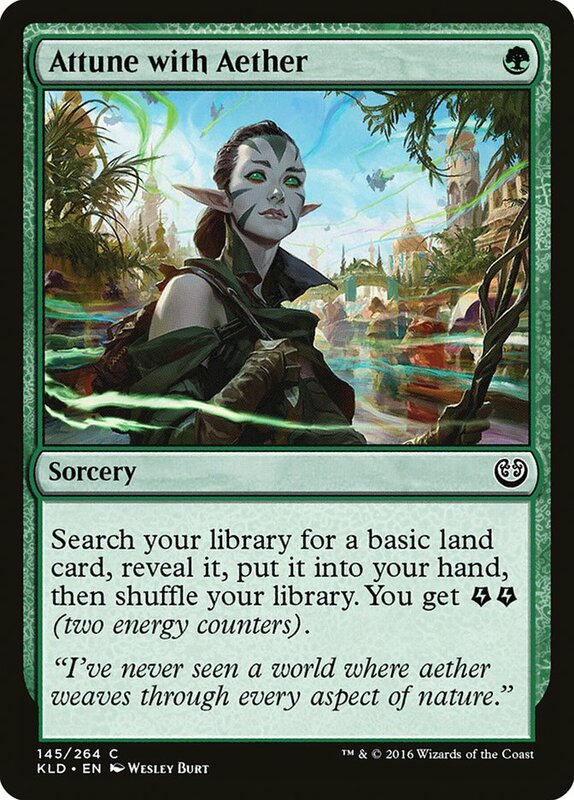 Six mana is more than you'd like to pay because it doesn't feel like you should have to go this big to win, given how good the five-mana options are, but Vraska kind of does everything. It dodges Confiscation Coup, answers weird threats like Anointed Procession, and lines up decently against The Scarab God, especially if it was your own taken by Confiscation Coup. One thing that you'll notice about these cards is that their casting costs aren't exactly cooperative. When it comes to expensive spells that are all powerful but perform best in different situations, I'm a huge fan of splitting the difference and playing some of each so that you can decide which to cast in the moment if you draw multiples. But when you're relying on Attune with Aether to fix your mana, it's important to be able to plan for your mana development, so having four-mana spells that cost GG, RR, and UU while also trying to find your lone Swamp simply isn't realistic. As a result, while my 75 in Albuquerque included GGRRUUB, I was sure to drop one of those symbols from my casting costs for each game, so my Game 1 deck only needed GGRRUB because Confiscation Coup and Vizier of Many faces were in my sideboard. 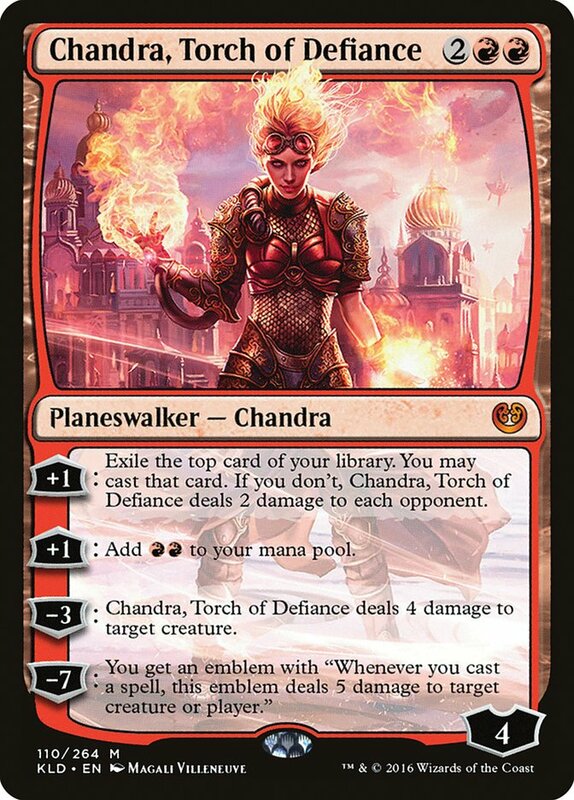 Against Ramunap Red, I expected them to bring in Chandra's Defeat, so I cut Chandra, Torch of Defiance and Glorybringer to make room for Vizier of Many Faces and Confiscation Coup. In the mirror, I cut Bristling Hydra to move the requirements to GRRUUB, etc. 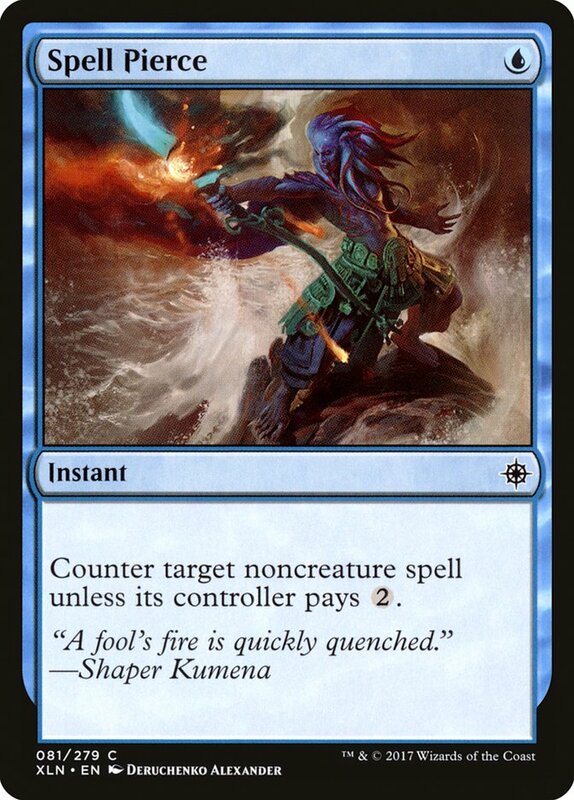 The mana is very good, so you can get away with not doing this; it's just safest if you can do this. Also, it's worth noting that black isn't free. Drawing the Swamp early is horrible, and if your opponent kills your Servant of the Conduit, you only have nine cards that can give you black mana and your Attune with Aethers are already taxed. This means you'll have a considerable number of games where you can't cast your black cards. During the tournament, I won a game with three uncastable black cards in my hand and wondered what I was doing. At the same time, I won a lot of games with The Scarab God. Would Glorybringer have won instead? I have no idea. For all I know, my opponent might have died while holding a Chandra's Defeat. 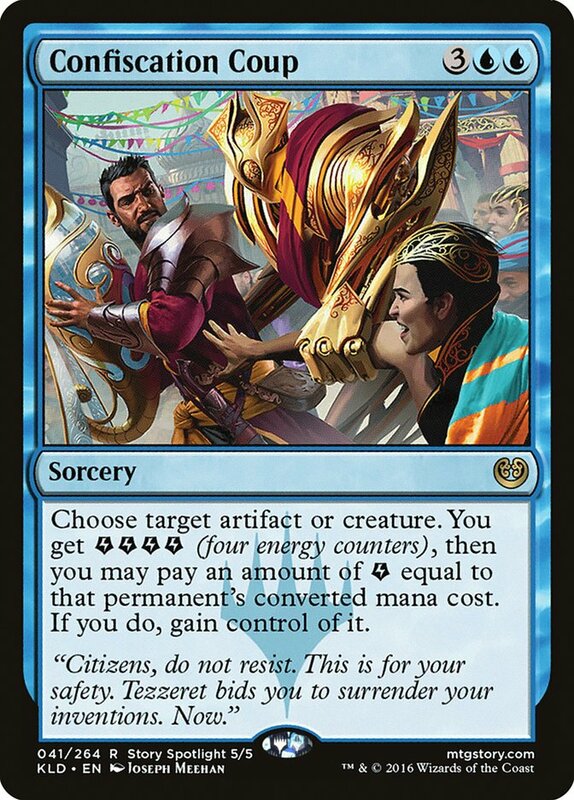 Before understanding how exactly the mana worked, I certainly would have wanted to include one or two copies of Vizier of Many Faces or Confiscation Coup in my maindeck, and if I was willing to give up the black, I might be able to get away with that. Longtusk Cub is one of the most important things to understand about the deck. Following Jaberwocki's success on Magic Online with a black-heavy four-color build that played Glint-Sleeve Siphoner over Longtusk Cub, others followed suit. I think this is a mistake. Longtusk Cub is responsible for a ton of free wins, and it's one of your best cards in a lot of matchups. Playing it correctly is tricky; you need to know when to invest in it for extra damage and when to just use it to stockpile energy. In the mirror, you almost never want to pump it unless that pump is directly winning an ongoing combat, and even then, it still might be better to just let it go. 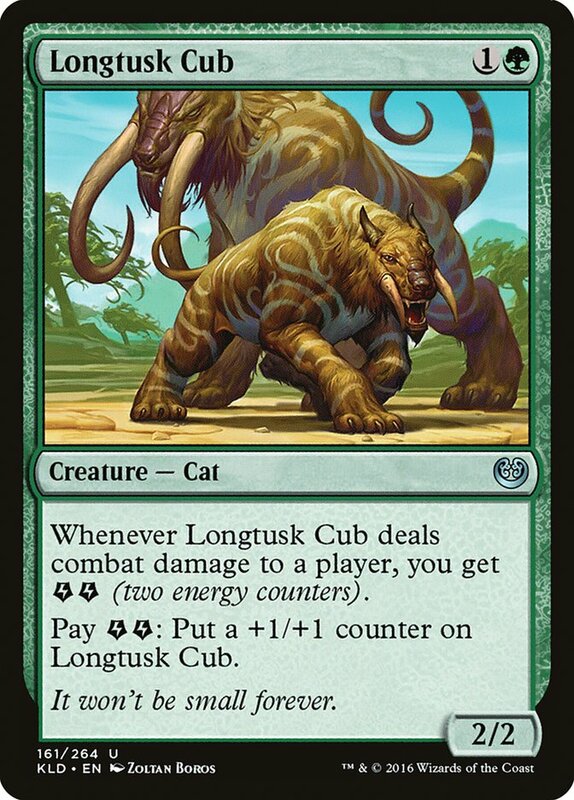 Longtusk Cub is great on the play and bad on the draw, so when you're on the play, you want to have your own, and when you're on the draw, you want to be sure you can answer theirs. 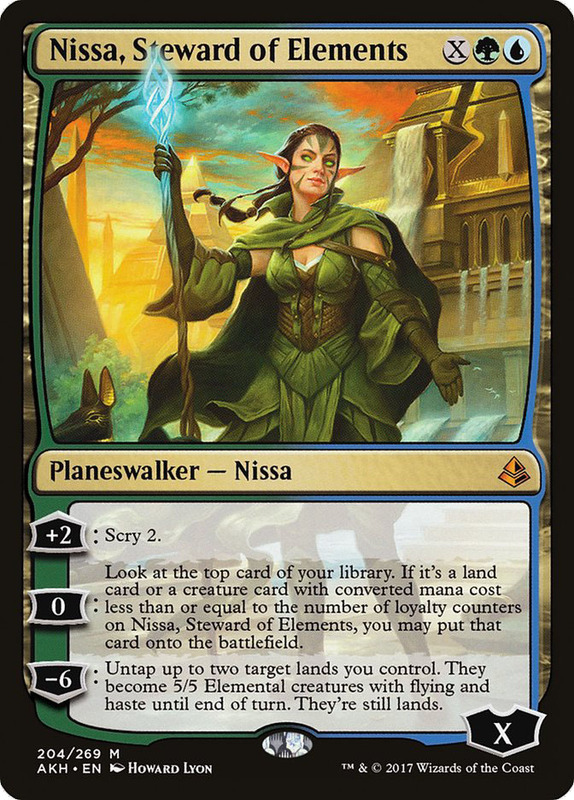 Similarly, Nissa, Steward of Elements is great on the play, especially if your opponent is sideboarding like this, because they won't have pressure and their removal will line up badly, but when it might be behind a Longtusk Cub, it's much worse. Spell Pierce comes in on the draw as a hedge against how good your opponent's planeswalkers will be because they're on the play. 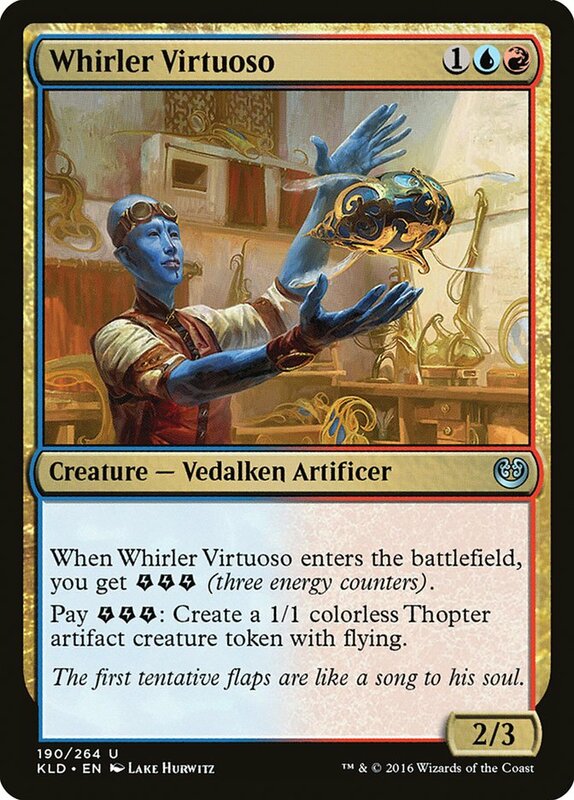 Whirler Virtuoso can be cut on the play because you have plenty of energy sinks and you can use Vizier of Many Faces or Confiscation Coup to get access to Whirler Virtuoso as an energy sink if your opponent has one, but on the draw, when you don't have Longtusk Cubs, you need the extra energy sink, and you need the help pressuring planeswalkers. 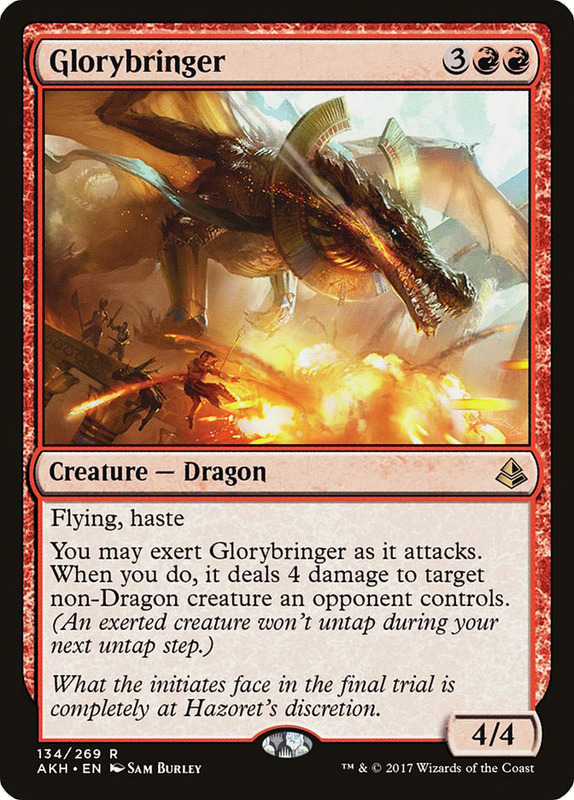 In both cases, Glorybringer comes out to make room for Confiscation Coup to mitigate Chandra's Defeat, which can still kill Chandra, but if you used the -3 ability, that exchange isn't too bad for you, whereas simply trading your five mana for their one can be devastating. Moving Forward, I think Temur is still a great choice. I think it has the most powerful cards and the most options in the format, and I think Whirler Virtuoso and Glorybringer match up very well against Seth Manfield's winning deck. What I'm torn on is whether the black is right. The black cards are great, but the mana is a real problem. What I liked most is how they let me position my deck strategically, taking a control role on the draw and having great trumps, and making sure my Chandra's Defeats were better than my opponent's. 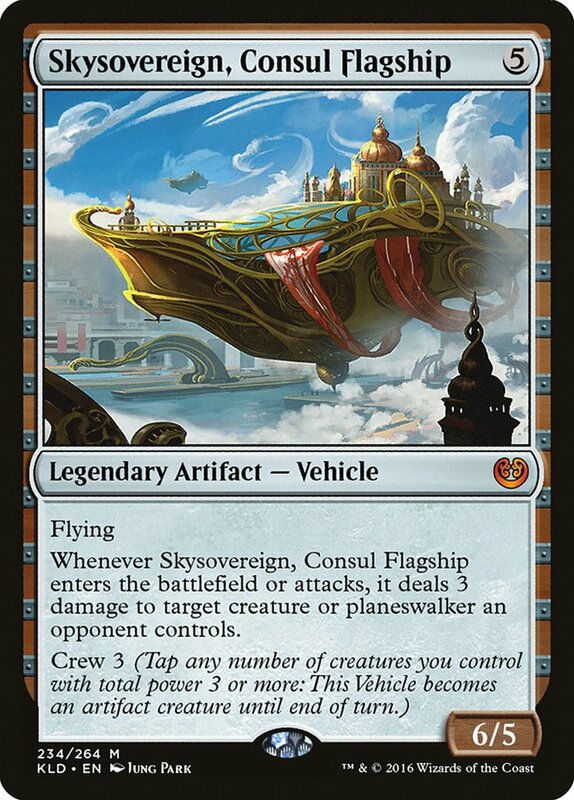 Skysovereign, Consul Flagship might allow you to accomplish a similar goal without disrupting the mana as much, but it's definitely less powerful. 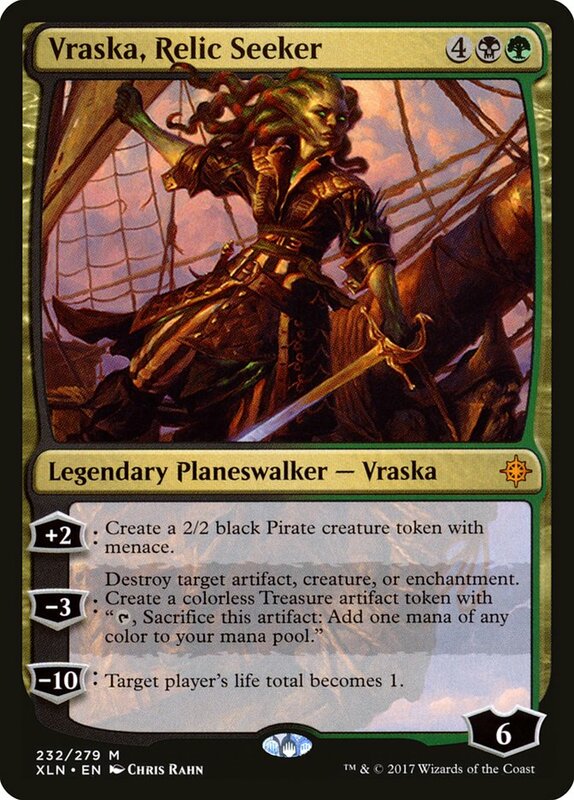 Still, with Abzan Tokens not having done as well, Vraska is less important and the better mana could by the priority. I'm writing this article as if the Temur mirror or near-mirror is still the most important matchup in Standard, completely ignoring the finals of the PT, and honestly, I think that's right. It happened to play out as it did this time, but I still think Temur Energy just gets to play with all the best cards, and it will continue to be the most played, and likely most successful deck. Very importantly, even if you don't plan to play Temur yourself, you need to understand what pressures and constraints your opponents are under as they build and tune their Temur decks so you know what to expect, because this deck is absolutely with us at least until Rivals of Ixalan, and likely well past that.